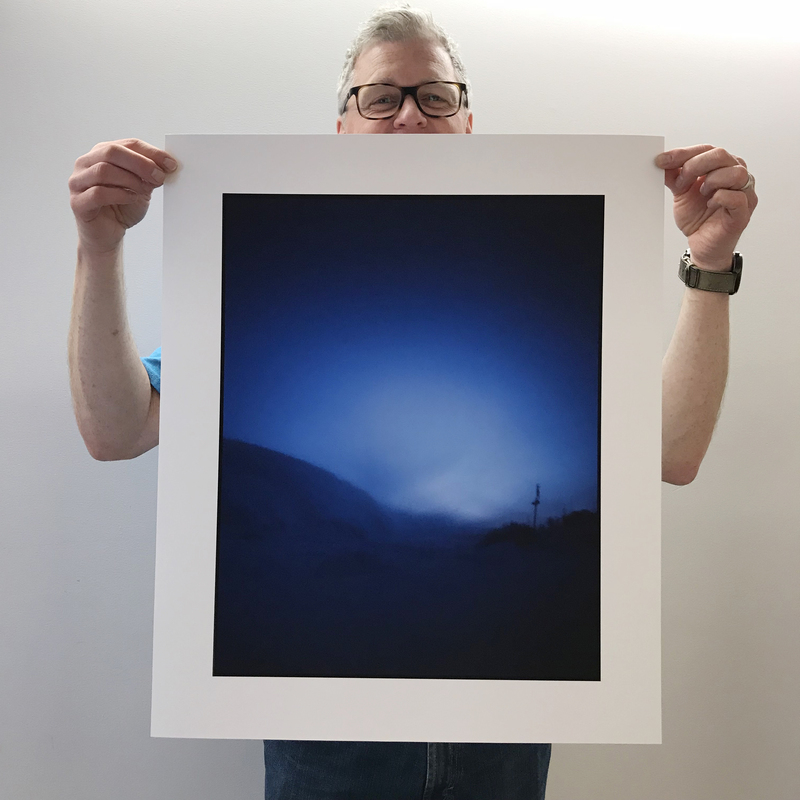 Someone is a 18.75 x 17.5" digital print, available for $500. minaki sunset is a 12.5 x 20" cmyk screenprint, available for $350. 3/30 featured artwork: There is Always Now by Pauline Braun. Chosen by Kristin, who says: “A work to inspire direct action!" There is Always Now is a 16 x 16" monoprint, available for $195. 4/30 featured artwork: Hooked by Lynne Allen. 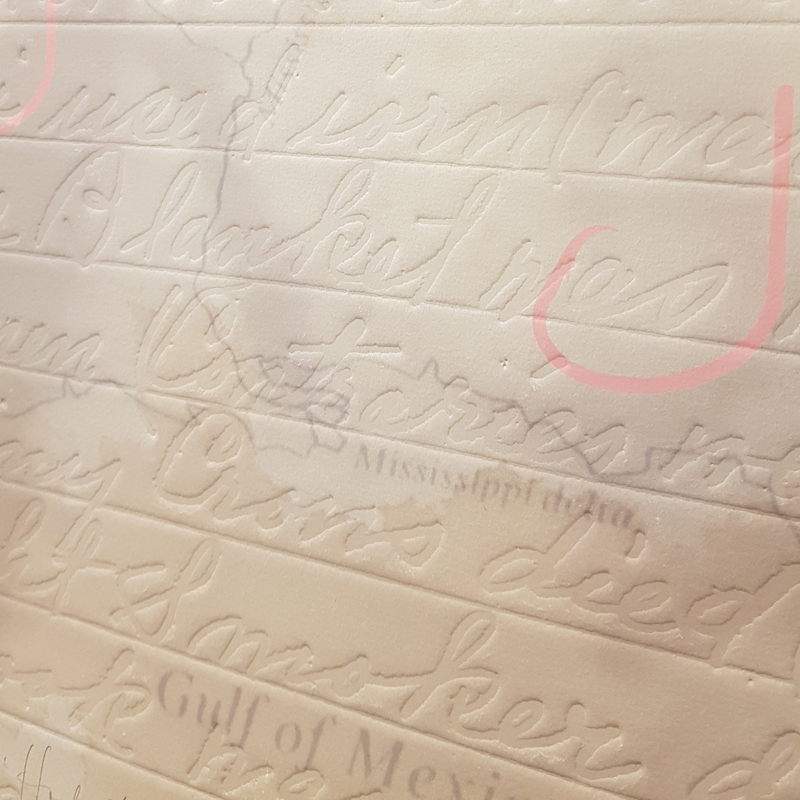 Chosen by Niamh, who says: “I like the layers in this piece: the image, embossing, and mapping." Hooked is a 17 x 17" digital print with embossing, available for $800. 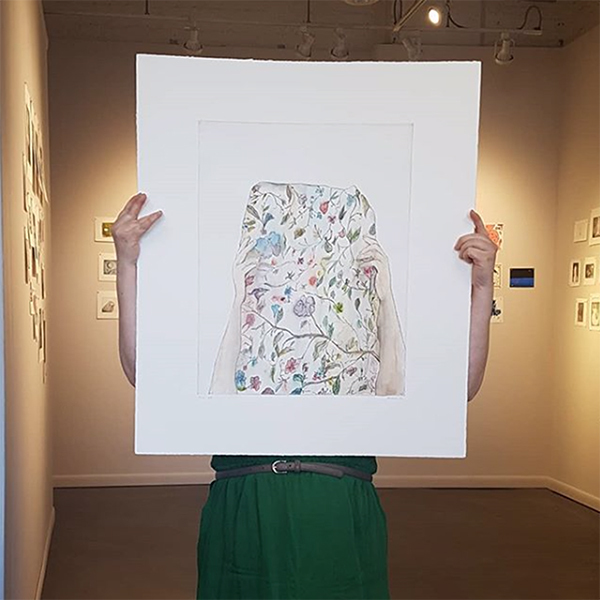 5/30 featured artwork: Grass by Erin Josephson-Laidlaw. Chosen by Sarah, who says: "I love the subtleties in Erin's work." 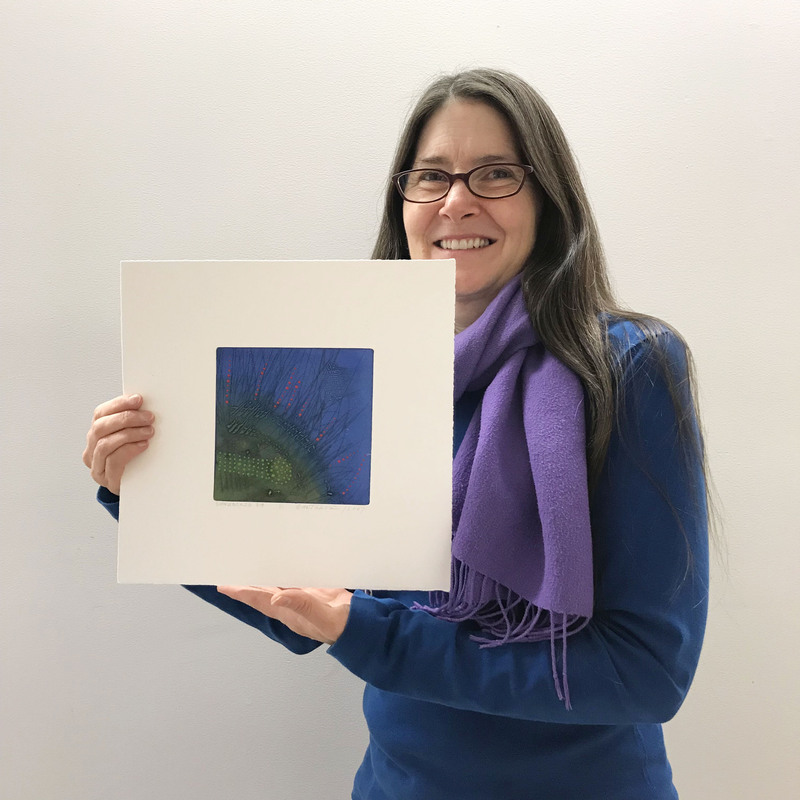 Grass is a 10.5 x 10.75" intaglio and digital print, available for $175. 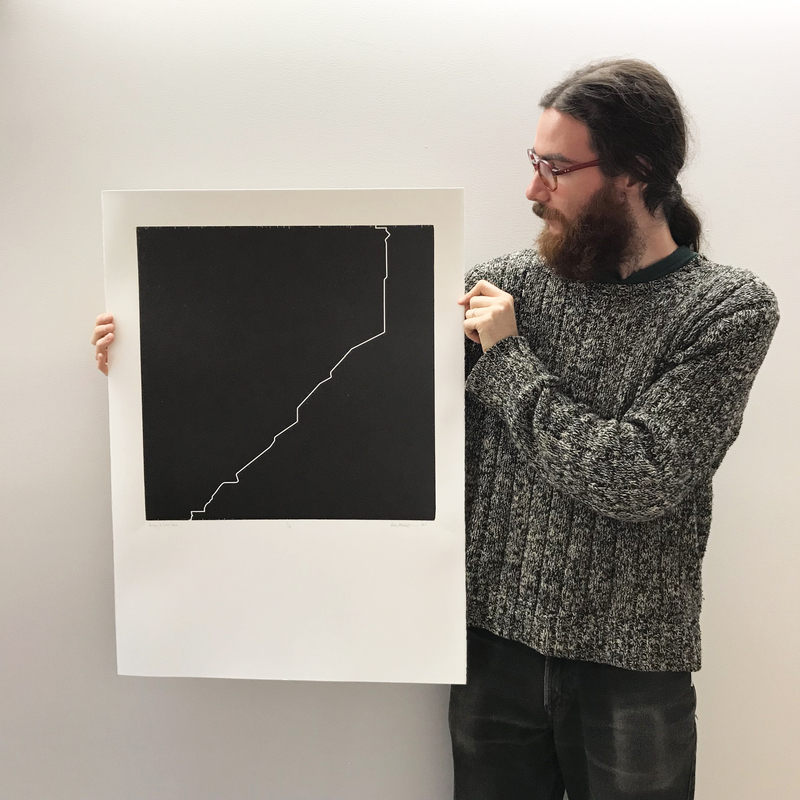 6/30 featured artwork: No Goals by Jonathan Dyck. Chosen by Andrew. 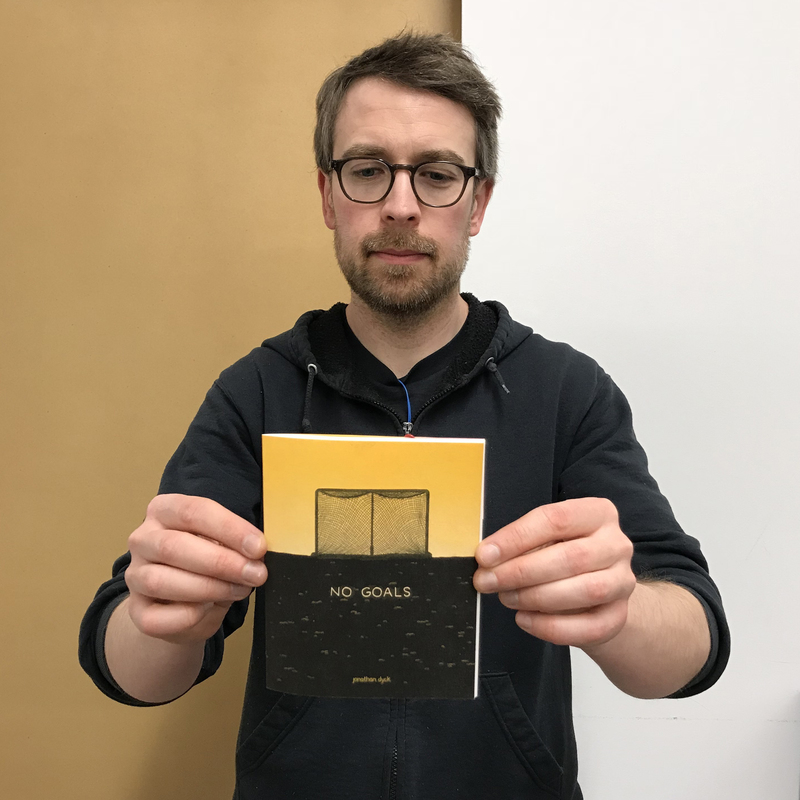 No Goals is a risographed zine, available for $10 at Martha Street Studio's Print Shop. 7/30 featured artwork: Yellow Bird/osaawaa behnesii folio by Scott Benesiinaabandan. Chosen by Mariana, who says: "This work is sensitive and evocative." 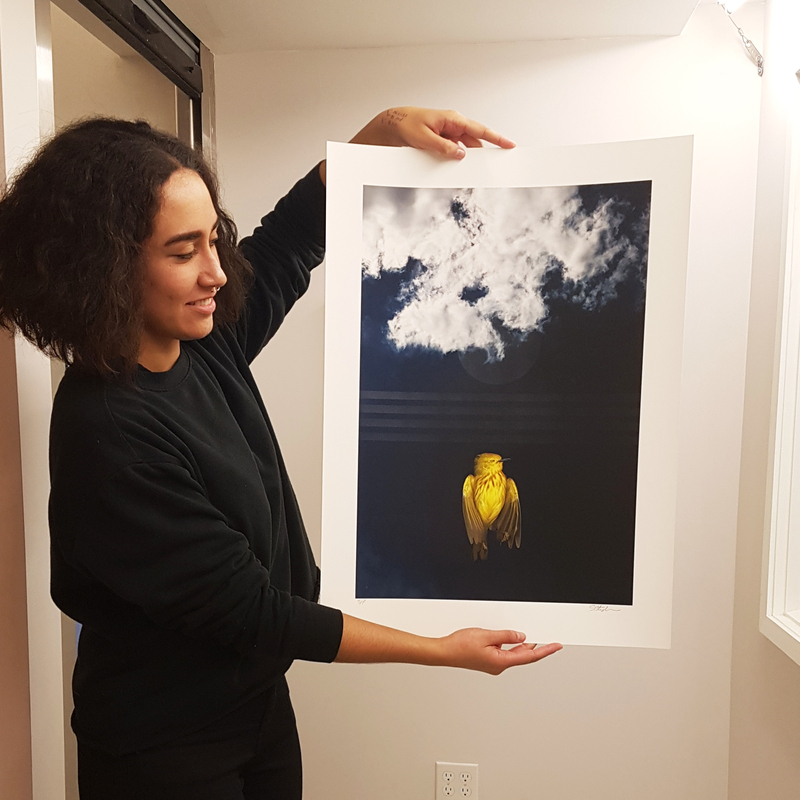 Yellow Bird/osaawaa behnesii is a folio of four 26 x 19" digital prints with screenprinting (only one of which is pictured here). 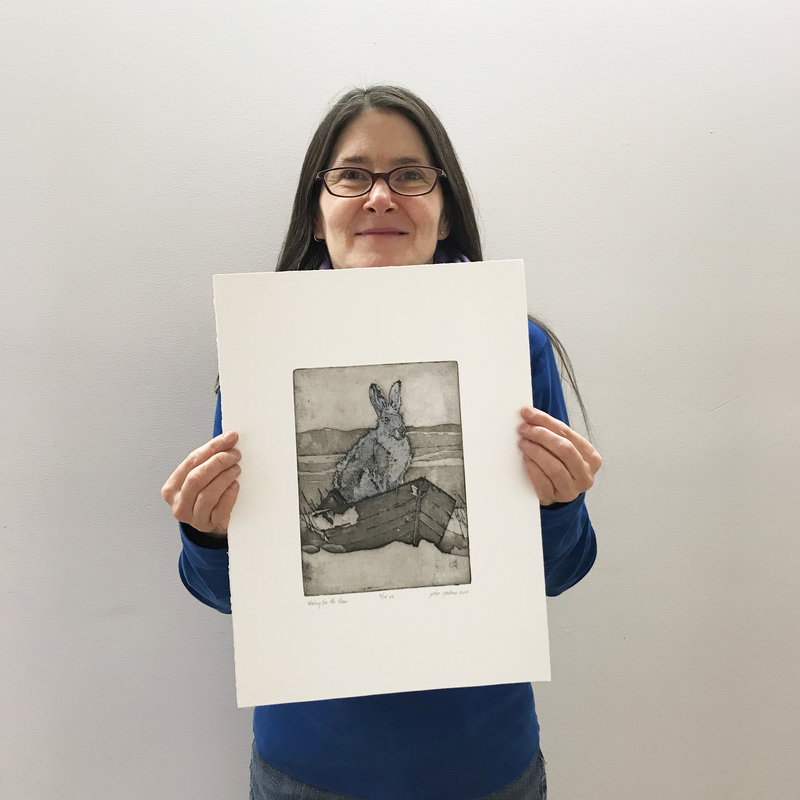 The folio of four prints is available for $1,500. 8/30 featured artwork: (untitled) by Robert Taite. Chosen by Andrew. 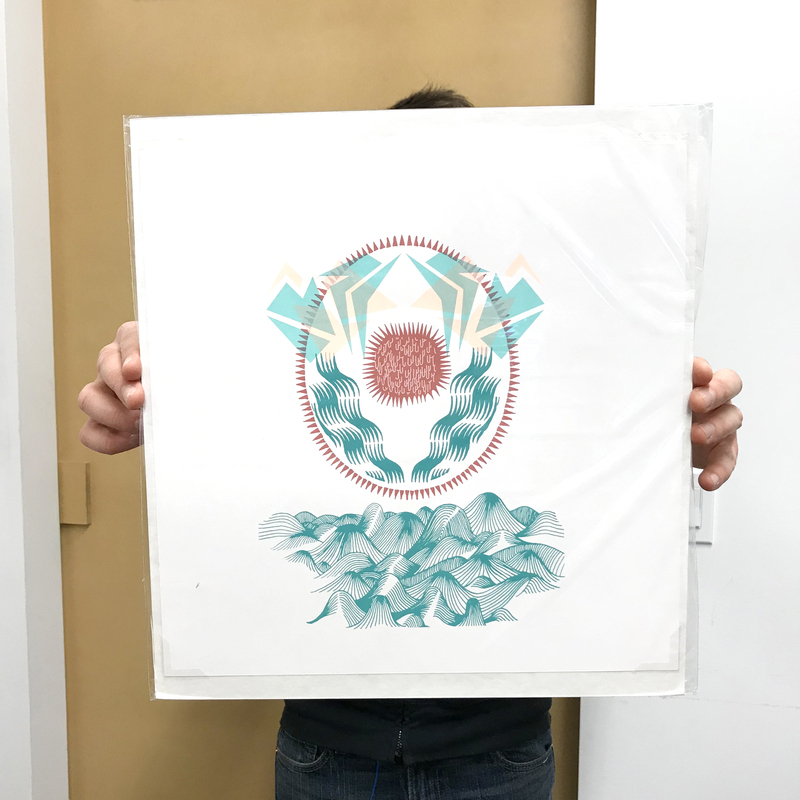 (untitled) is a 13 x 13" screenprint, available for $40 at the Martha Street Studio Print Shop. 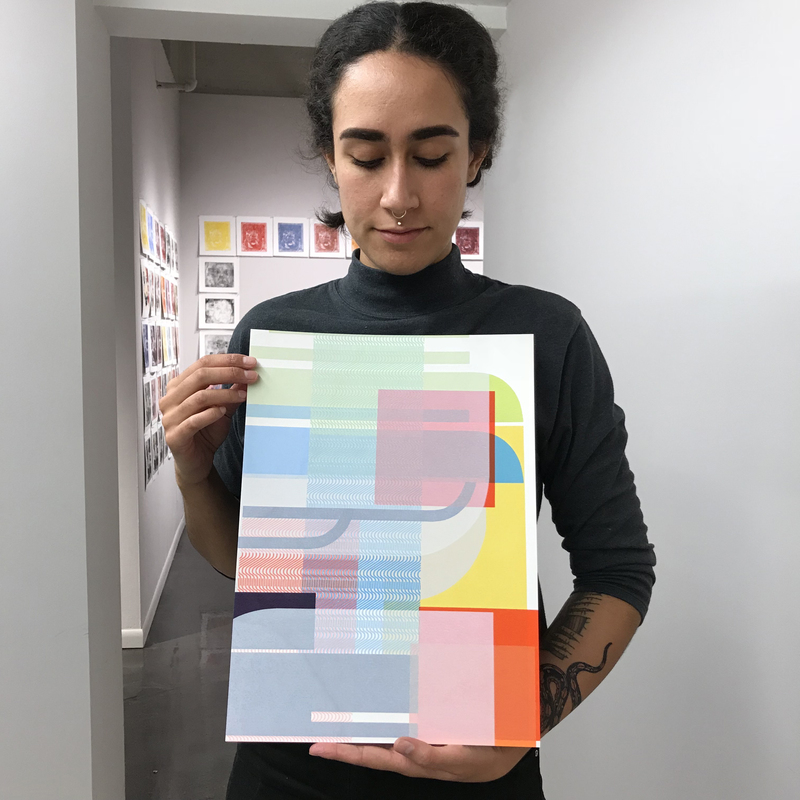 9/30 featured artwork: All Sleep No Play by Emma Mayer. Chosen by Andrew. 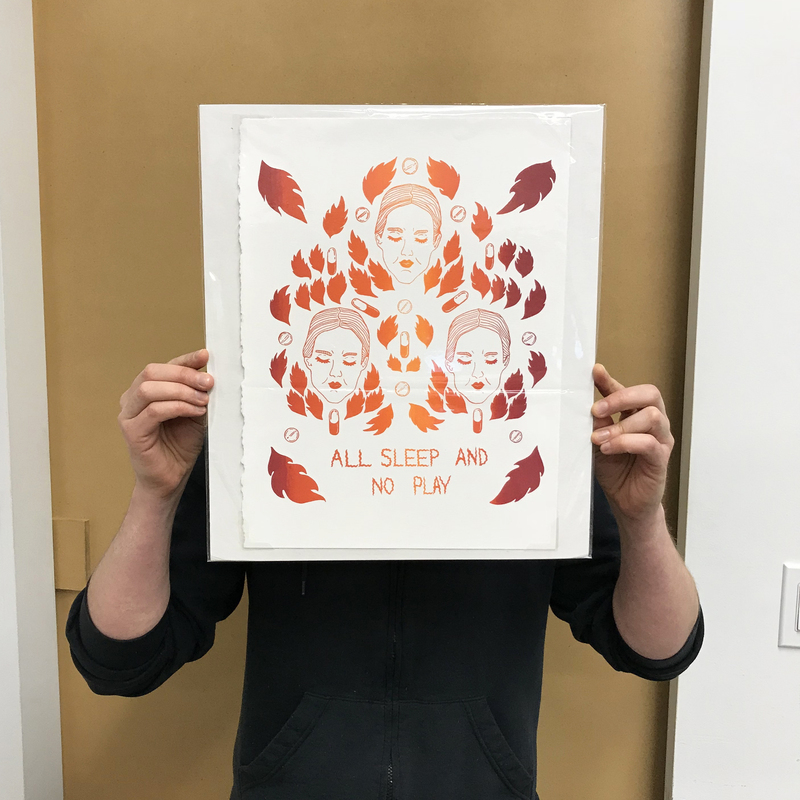 All Sleep No Play is a 15 x 11.25" screenprint, available for $20 at the Martha Street Studio Print Shop. 10/30 featured artwork: (untitled) by Bram Keast. Chosen by Mariana, who says: "I love how Bram handles shape and colour!" 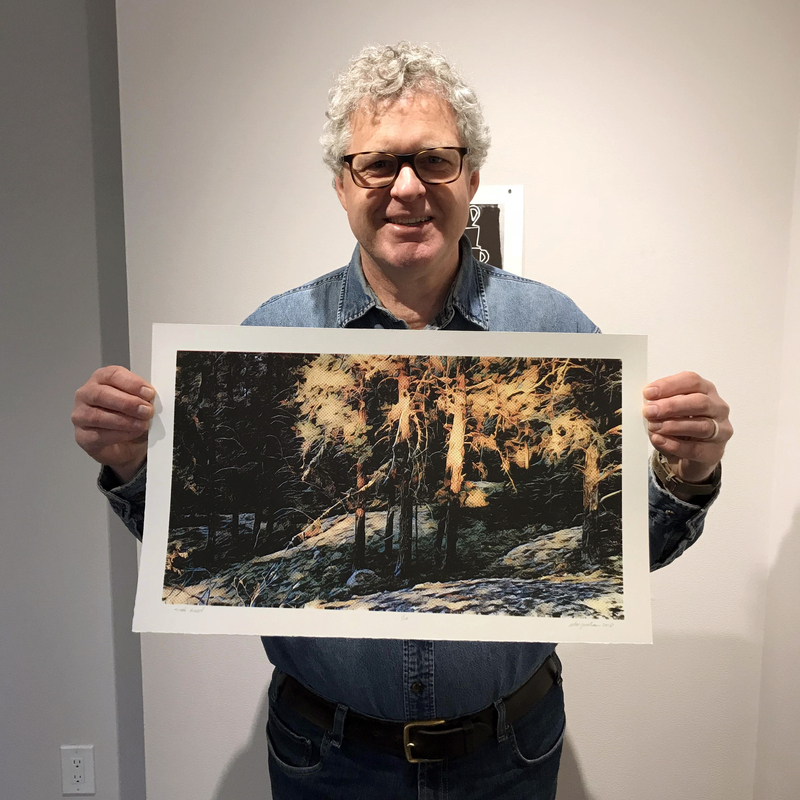 11/30 featured artwork: Winnipeg to Victoria Beach by Sean McLachlan. Chosen by Sean, who says: "Dreaming of the beach on this cold winter day." Winnipeg to Victoria Beach is a 30 x 22" woodcut print, available for $400. 12/30 featured artwork: Boy Polyp in Bog 2 by Ben Bonner. Chosen by Andrew. 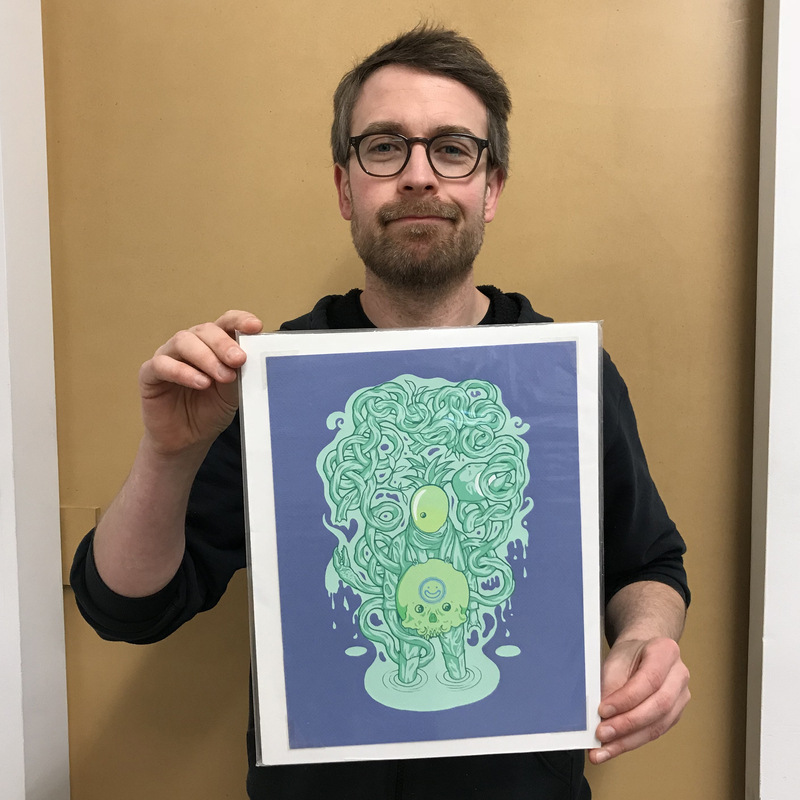 Boy Polyp in Bog 2 is a 11.375 x 9.5" screenprint, available for $35 at Martha Street Studio's Print Shop. 13/30 featured artwork: Think: Monotype #025 (125) by Ilana Pichon. Chosen by Mariana, who says: "It's interesting to see how Ilana incorporates movement into her work." Think: Monotype #025 (125) is a 15 x 11" screenprint, available for $375. 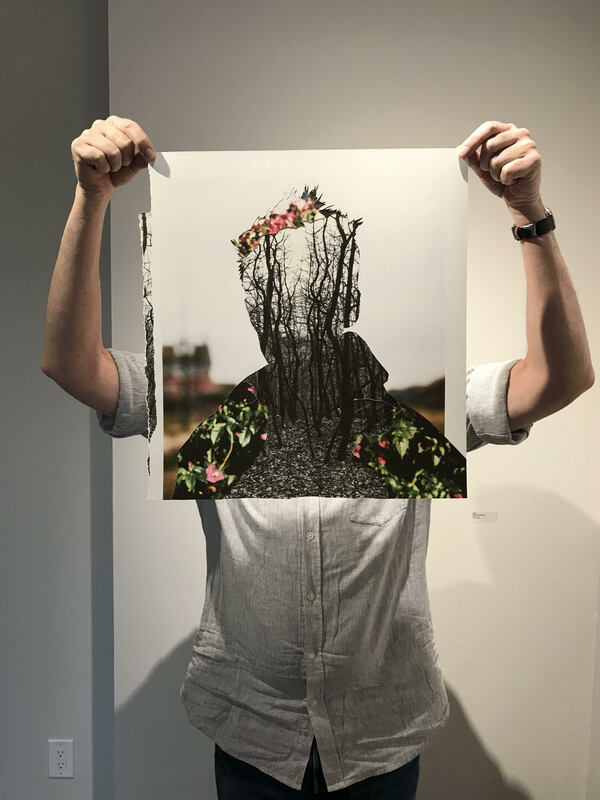 14/30 featured artwork: (untitled) by Erin Josephson-Laidlaw. Chosen by Ali, who says: "I'm consistently drawn to the quietness of Erin's subtle line work, subdued tones and soft shapes." 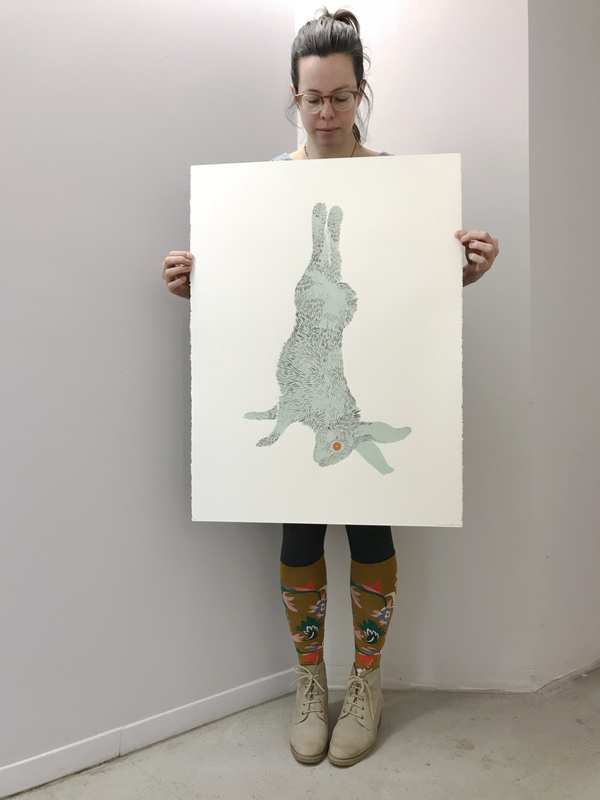 (untitled) is a 30 x 22.375" screenprint, available for $100 at Martha Street Studio's Print Shop. 15/30 featured artwork: Greene Meets Morris by E.J. Howorth. Chosen by Peter. 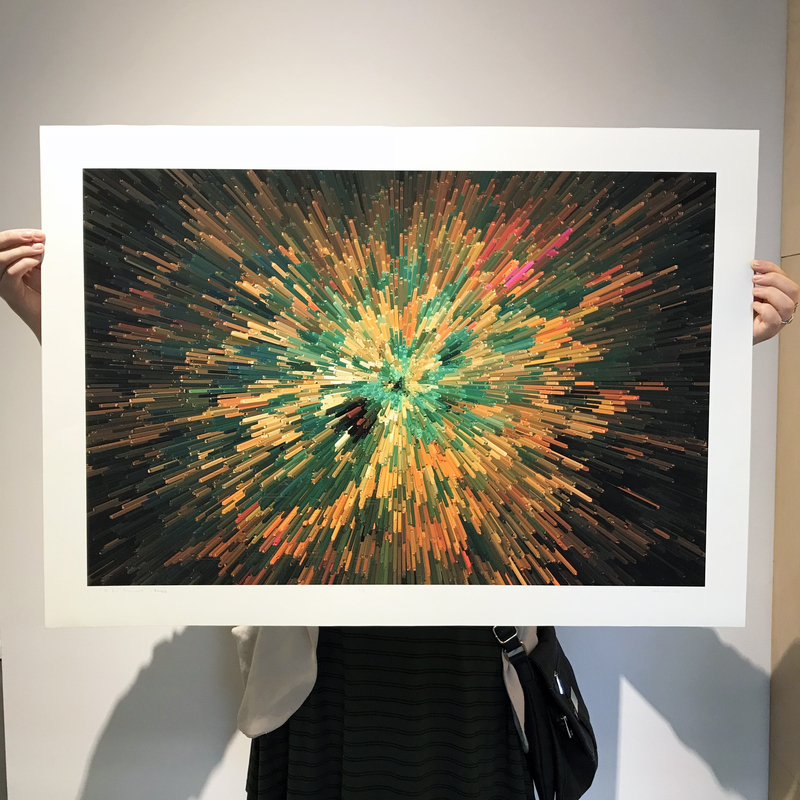 Greene Meets Morris is a15.375 x 27" screenprint, available for $450. 16/30 featured artwork: Albino Moose by Jeanette and Maurice Dzama. Chosen by Niamh, who says: "I enjoy the tactility of their felted animals and forms they create." 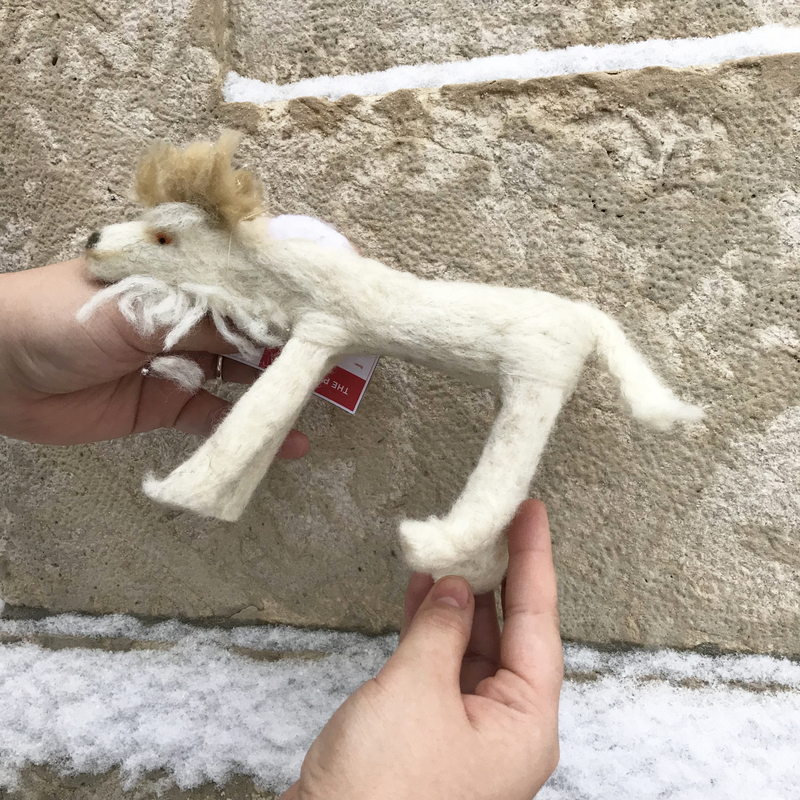 Albino Moose is a hand-felted moose, available for $30 at Martha Street Studio's Print Shop. 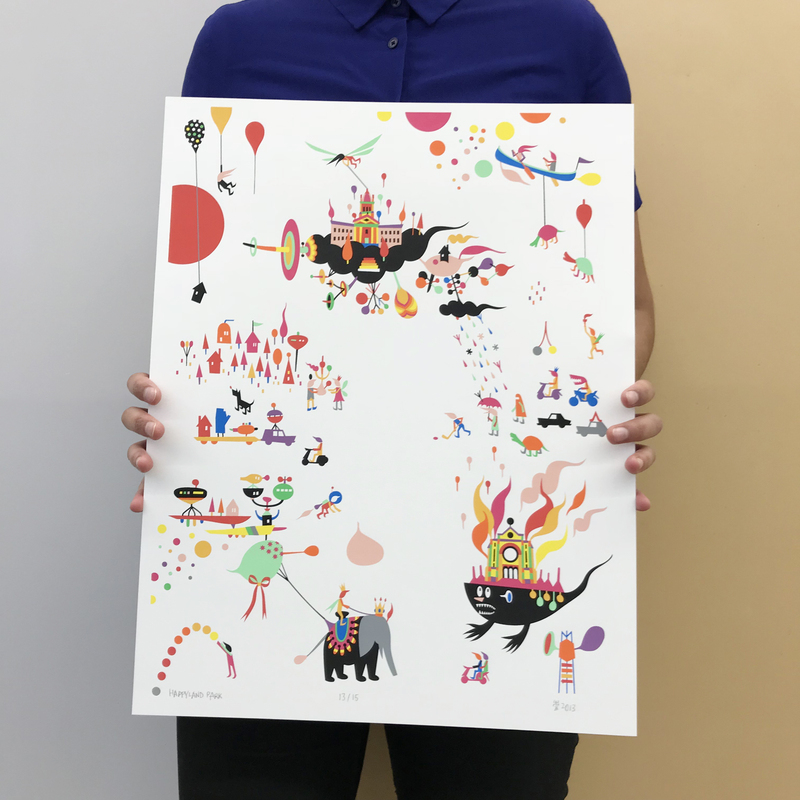 17/30 featured artwork: Happyland Park by Takashi Iwasaki. Chosen by Mariana, who says: "Every time I look at this print, I notice something new." Happyland Park is an 18 x 14" screenprint, available for $600. 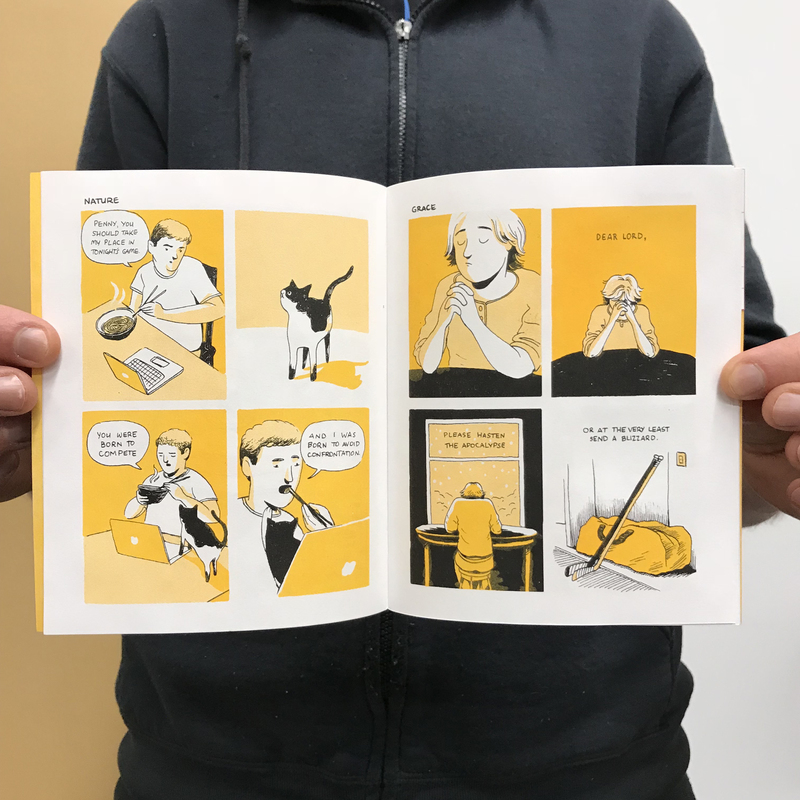 17/30 featured artwork: Lonely Girls folio by Erica Eyres. 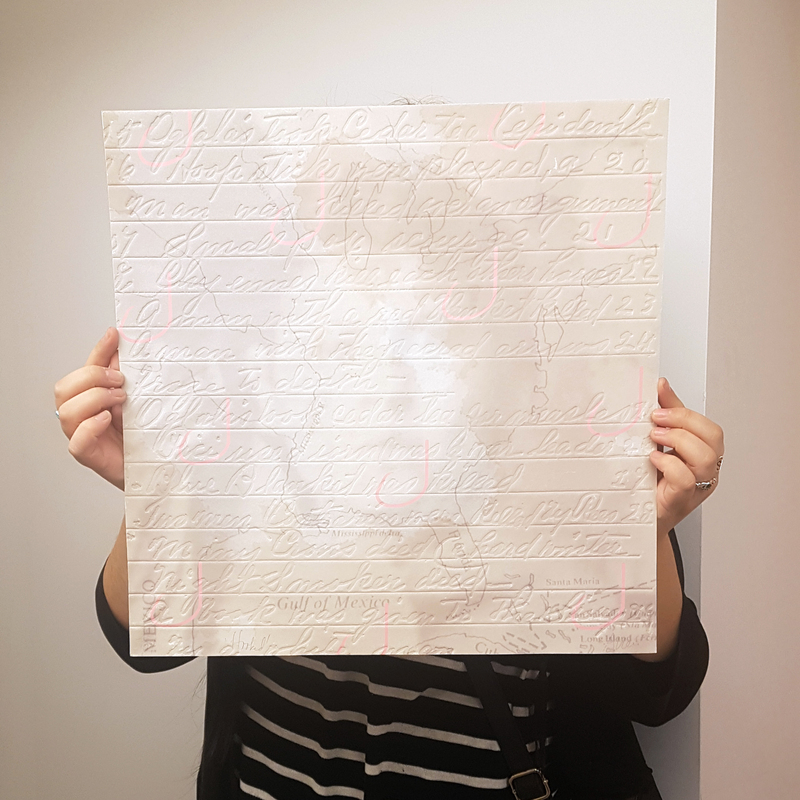 Chosen by Ali, who says: "I’ve been enamoured with Eyres’ Lonely Girls folio for years. Her awkward line work expertly communicates the personality and emotions of each character." 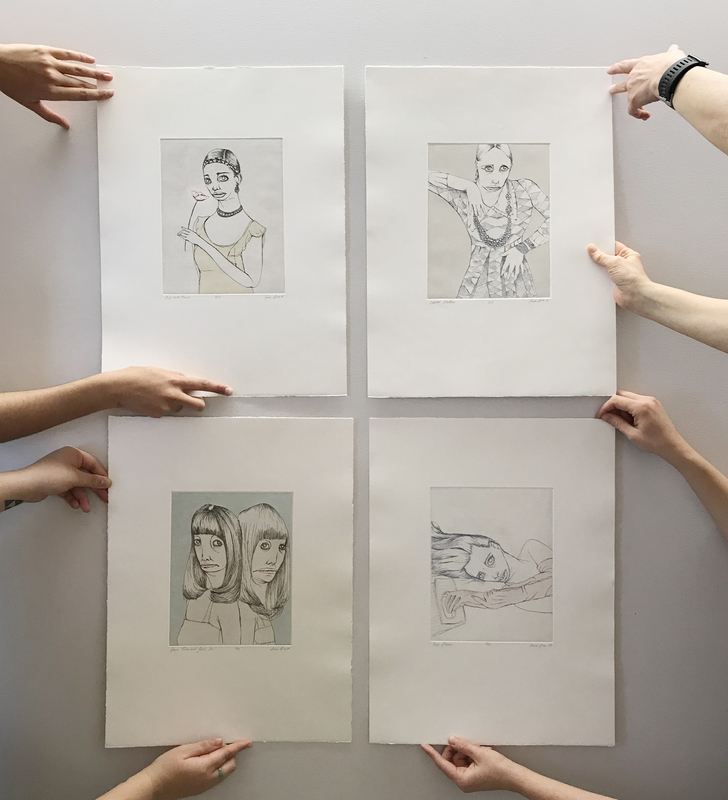 Lonely Girls is a folio of four 20 x 14.875" intaglio prints with handwork and screenprinting. 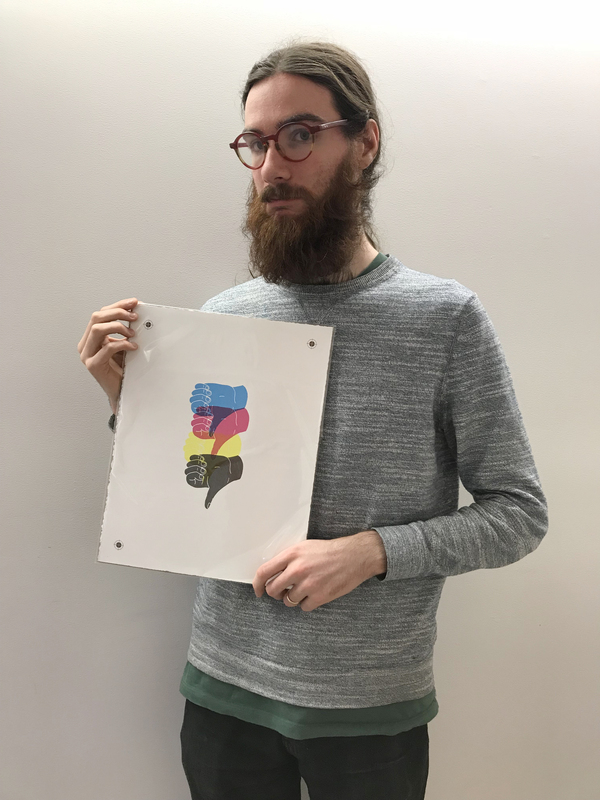 The folio of four prints is available for $1,000. 18/30 featured artwork: Snow Configuration by KC Adams. Chosen by Niamh, who says: "The winding river and snow covered farmlands remind me of winters in Manitoba." 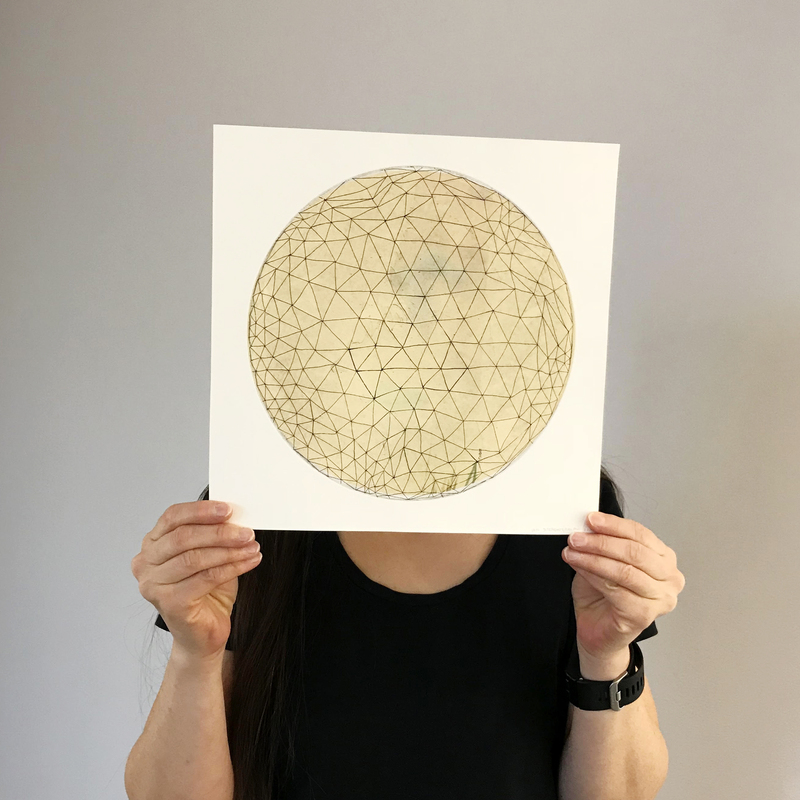 Snow Configuration is a 17 x 16.5" screenprint, available for $750. 20/30 featured artwork: untitled (dawsonslide007) by Sarah Crawley. Chosen by Peter. untitled (dawsonslide007) is a 25 x 21" digital print, available for $550. 21/30 featured artwork: Retreating Agassiz II, 500 BP by Jeanette Johns. Chosen by Ali, who says: "Johns' prowess as a printmaker is evident in this combination of etching, screen printing, gold leaf and ink. 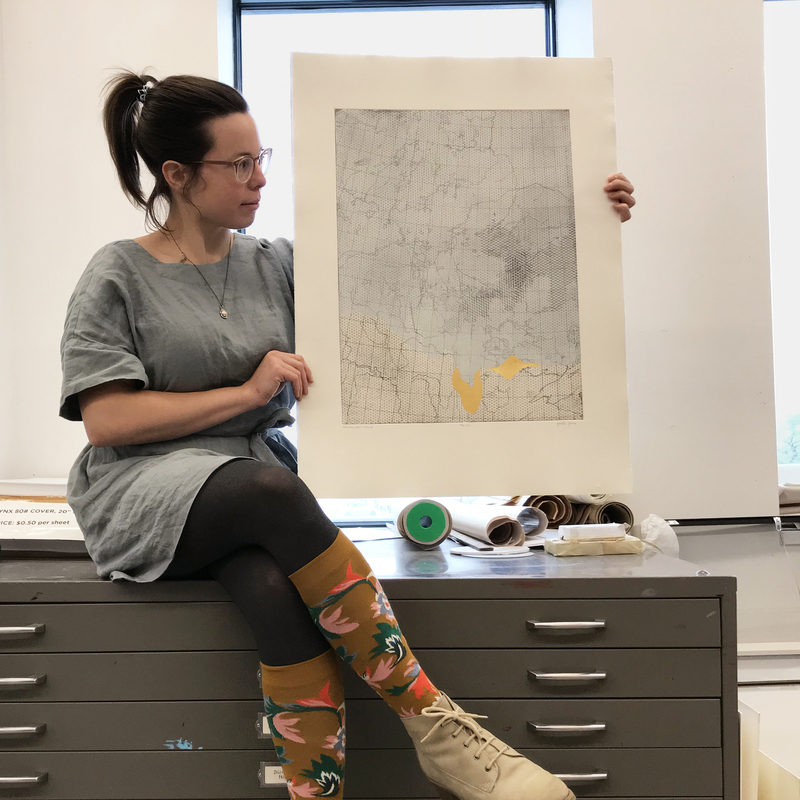 Her refined composition is a poetic meditation on Manitoba's geological history." Retreating Agassiz II, 500 BP is a 30 x 22" intaglio and screenprint with gold leaf and handwork, available for $800. 22/30 featured artwork: Seeing White by Karen Cornelius. Chosen by Kristin, who says: "Baby it's not so cold outside! 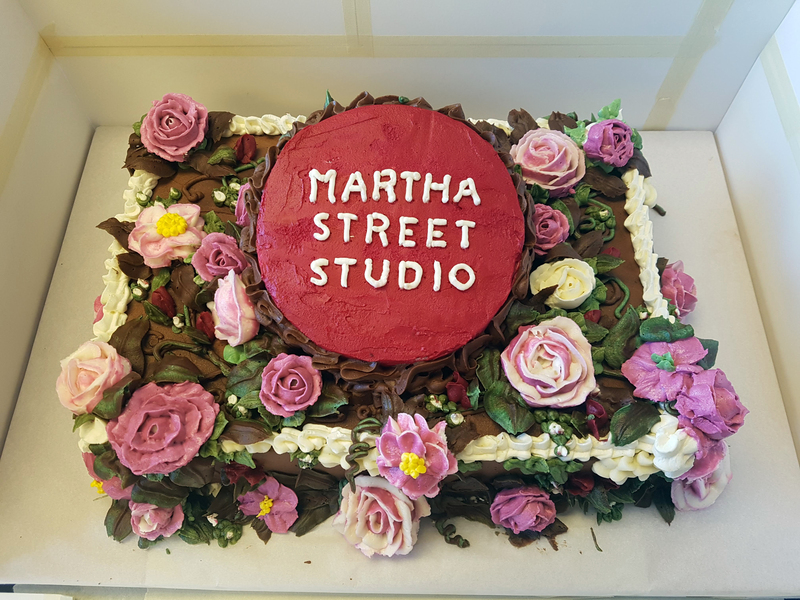 Come to Martha Street Studio and buy your loved one a print!" 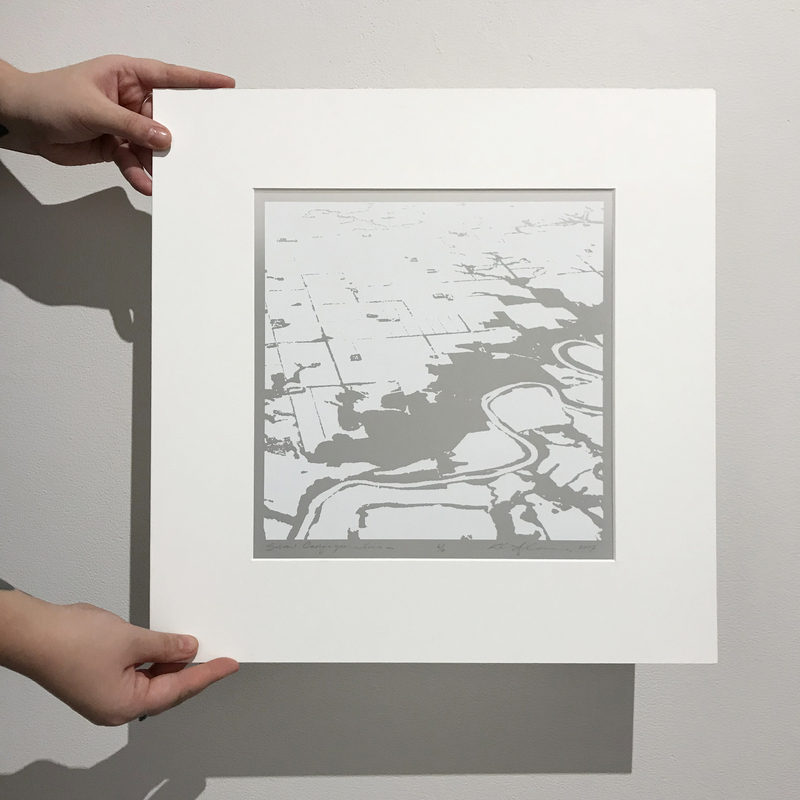 Seeing White is a 22.5 x 29.75" intaglio print with chine collé, available for $900. 23/30 featured artwork: Fragments by Ilana Pichon. 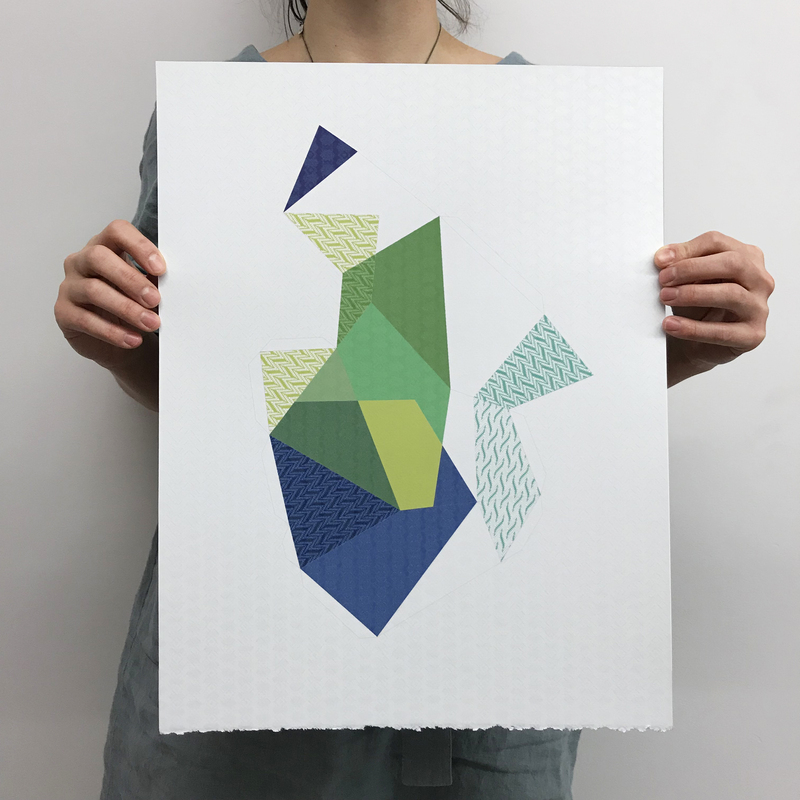 Chosen by Ali, who says: "I love the way Ilana has combined screen printing with digital printing to give depth to her meticulous patterns and architectural angles." 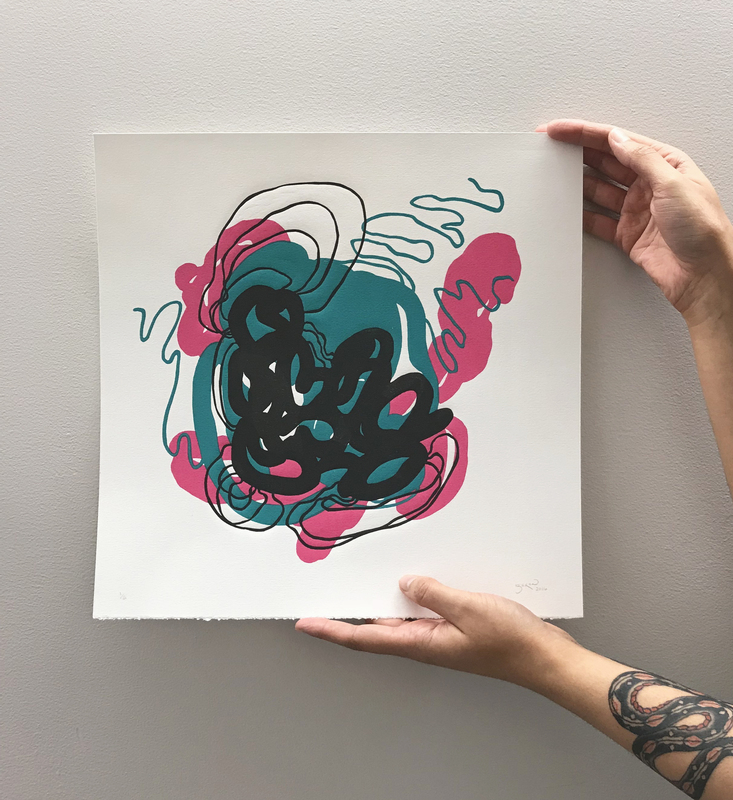 Fragments is an 18 x 14.25" screenprint and digital print, available for $375. 24/30 featured artwork: Aerial by Pauline Braun. Chosen by Peter. 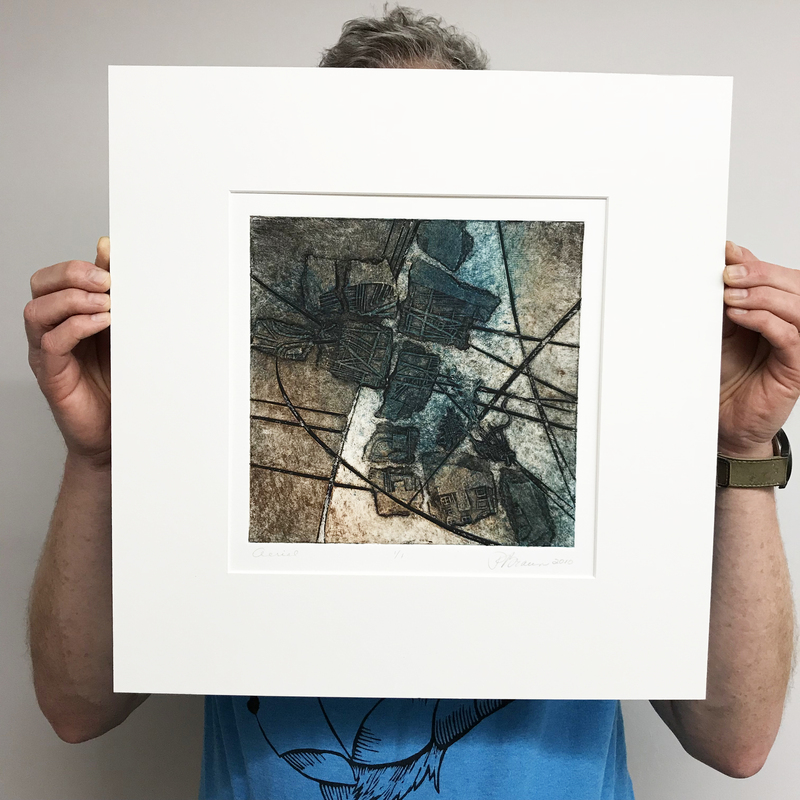 Aerial is a 15.75 x 15.75" monoprint, available for $195. 25/30 featured artwork: A Ki Moment by Richard Palanuk. Chosen by Niamh, who says: "The pop of magenta captures my eye against the other colours." A Ki Moment is a 23.875 x 34" digital print, available for $475. 26/30 featured artwork: Wallpaper by Melanie Rocan. Chosen by Kristin. 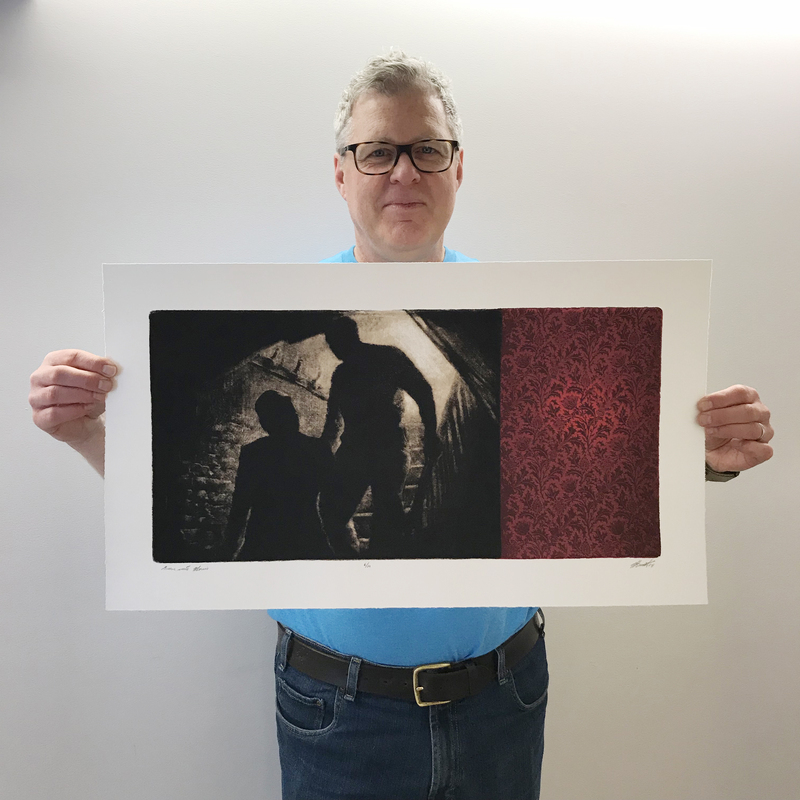 Wallpaper is a 26 x 22.75" intaglio print with handwork, available for $1,000. I'm a pessimist, what are you? 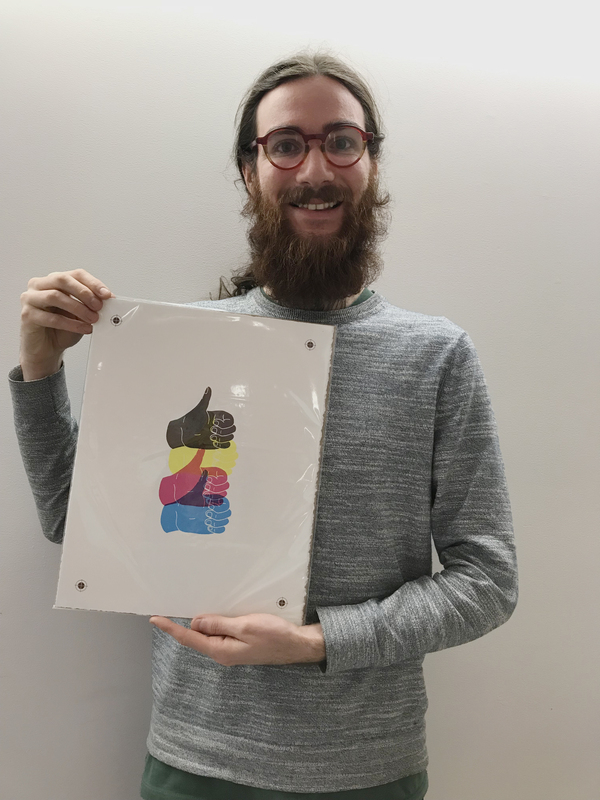 is an 11 x 14" screenprint, available for $75 at Martha Street Studio's Print Shop. 28/30 featured artwork: Waiting for the Thaw by Peter Graham. Chosen by Sarah, who says: "Who wouldn't love a bunny rabbit in a boat?" Waiting for the Thaw is a 15 x 11" varied intaglio print with chine collé, available for $125. 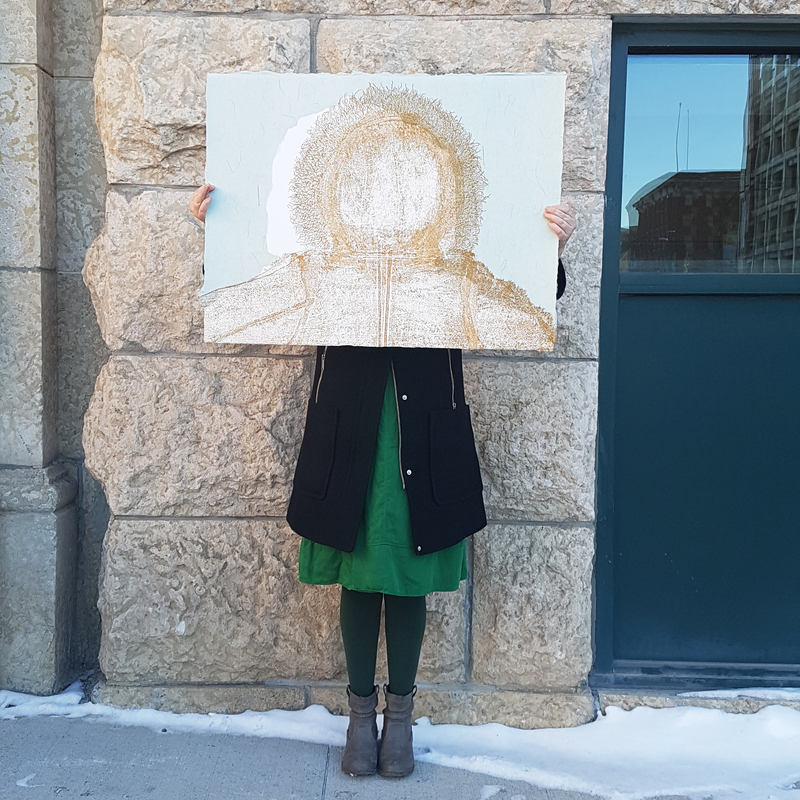 29/30 featured artwork: I Want to Portage le Main by Sean McLachlan. Chosen by Sean, who says: "I was hoping this would be irrelevant now…but here we are!" 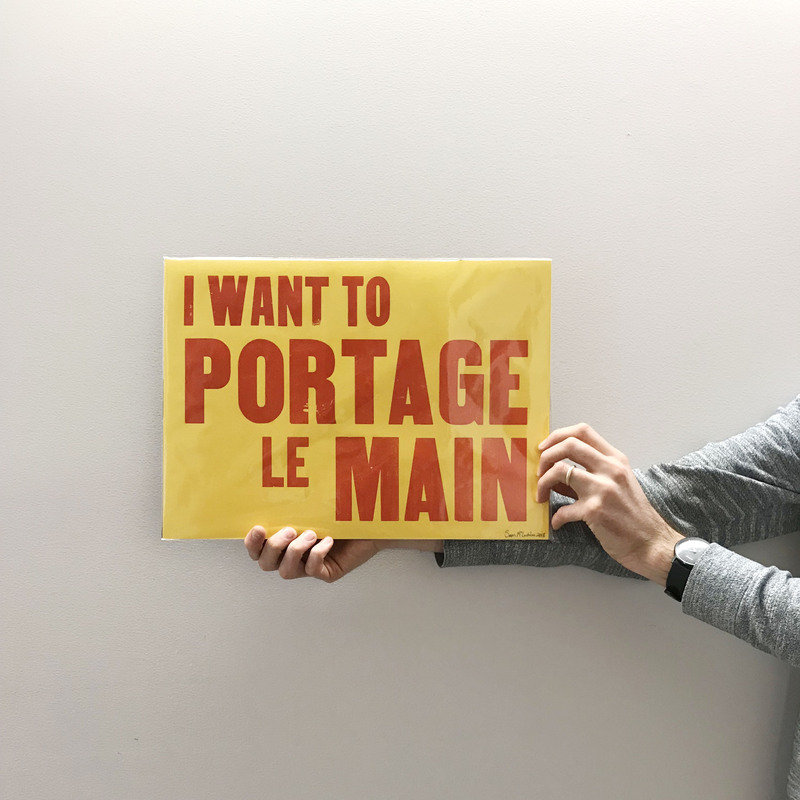 I Want to Portage le Main is a 11 x 15.25" letterpress print, available for $15 at the Martha Street Studio Print Shop. 30/30 featured artwork: Songbirds 319 by Ewa Tarsia. Chosen by Sarah, who says: "Magnificent colours!" 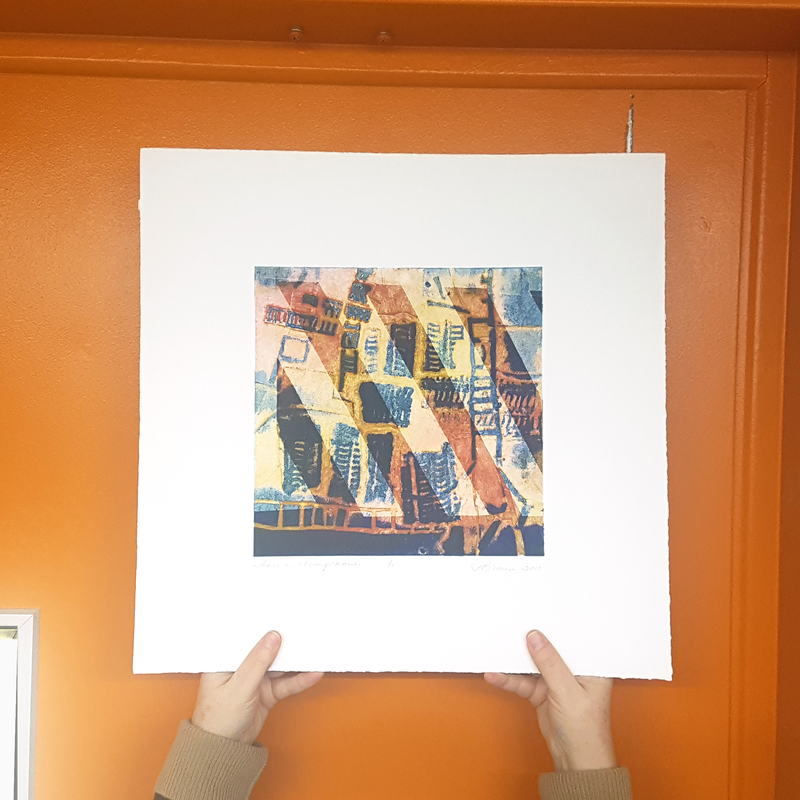 Songbirds 319 is a 11 x 11.25" monoprint, available for $350.